How to interpret the following soundbite? One interpretive strategy would be to focus on the complementary roles of statutory urban planning and opportunistic urbanization. Both international and national organizations have recognized Shenzhen’s commitment to innovative planning. And yes, many bright, enthusiastic, and interesting people have participated in the creation of the City’s 1982, 1986, 1996, and 2010 plans. Nevertheless, historically, the city has developed in a shifting field of governmental restructuring, rural migration to the city, and economic boom boom boom, resulting in the importance of statutory planning (occurring at lower levels of government) and opportunistic urbanization (as people have negotiated ad hoc permission to use village land) in the construction of the city. 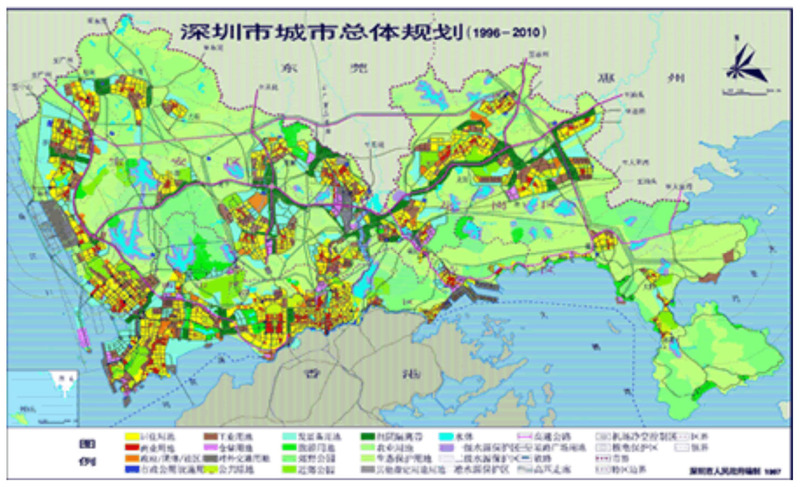 For example, the 1982 Plan did not include New Baoan County (today Baoan and Longgang Districts). Nevertheless, many Baoan collectives began building factories and producing for export as early as 1978. 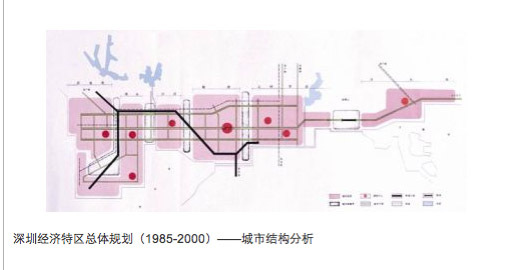 Likewise, in 1985, urban planning focused on the Special Economic Zone, imagining the City as a chain of connected urban clusters, again without reference to New Baoan County (below). Gangxia (located across Shennan Road from City Hall), with 486 households or 900 villagers and an estimated 67,000 temporary residents; Dachong (the Shahe area), with over 1,400 3-7 story buildings, with 382 households or 1,030 villagers and over 60,000 temporary residents; Several Yantian Villages, with 561 households or 1,586 villagers and no estimated population of temporary residents, however, 1,635 residential buildings will be razed; Buji Jintian area, and the Longgang Tian’an Gangtou/Baoji area, located near the Huawei compound, where an estimated 80,000 people live and work. Not unexpectedly, the contradictions between municipal and statutory planning as well as opportunistic urbanization outside the plan have resulted in a landscape wherein beautification entails massive investment to relocate and rebuild areas that have only become apparent through their success; Shenzhen’s urban villages are successful corporations. 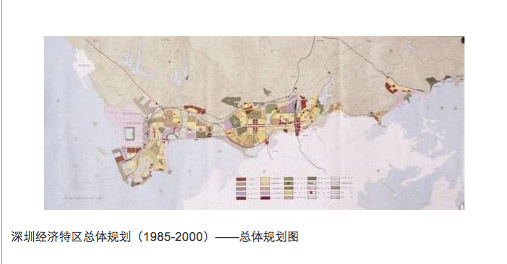 More soberingly, the further a targeted area is from the early SEZ plans (Buji and Longgang are both outside the second line), the less data about the actual settlement exists and the more we end up relying on rumor, speculation, and police sweeps to figure out not only what is there, but also who and why. This entry was posted in noted and tagged buji, dachong, gangxia, huawei, second line, shahe, shenzhen identity, urban renovation, urban villages, yantian. Bookmark the permalink.